(Mostly) Kidlit and (some) Comic book news! Hope everyone is enjoying the best time of year, as I am! Being born in late September, I feel as though I have a natural inclination toward the fall and winter seasons and the period between Halloween and New Year’s is undoubtedly my favorite span during the year. This is one of the reasons I’m so pleased to announce a load of cool things happening in the next couple months. First, the good people over at Beach Bound Books posted a fantastic review of The World’s Crummiest Umbrella as well as holding a giveaway for their advanced review copy. I can’t thank Stacie enough for the kind words, and if you want a chance to win another copy (because you’ve already bought one, right?) of the book be sure to enter their giveaway contest in the next 10 days! Coming up in just a couple short weeks is an event for The World’s Crummiest Umbrella hosted by the very cool Old Capitol Books in Monterey. On November 22nd I’ll be reading the book for attendees, as well as signing and sketching for everyone afterward. There will be copies available to purchase, but feel free to bring your copy from home for me to sign as well. It’ll be a fun afternoon for the entire family so I hope to see you there! 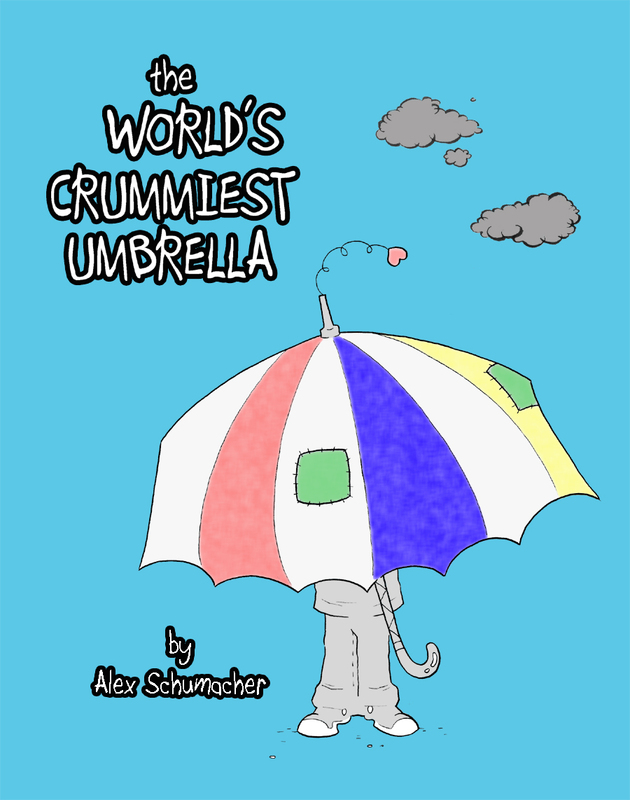 Then, on Saturday December 13th I’ll be appearing at the world renowned and uber awesome Cartoon Art Museum in San Francisco to read and sign copies of The World’s Crummiest Umbrella! I love this place and the great staff there are some of the best people I know. If you’re in the Bay Area be sure to bring the family out to stop by and say howdy! I’ll close this blog post with some really exciting comic book news: The Guitarist, by myself and my most excellent writer pal C.W. Cooke (@CWCookeComix), has been picked up by Underbelly Comics and slated for release in 2015! This has been a long time coming for us, and we finally have the chance to bring this saga to the world. There will be some retooling and redesigning happening so we’re not sure when it will be out, but I will certainly keep all of the faithful visitors here posted on details as they develop. Thanks for making it to the end of this post and hope it was a nice payoff for ya! See y’all soon and keep creating!